Site stickiness is referring to how well a site is holding a visitor’s attention; it can be viewed as the total amount of time users spend on the site, or the total page views. In order to understand stickiness, we need to understand a few key metrics. 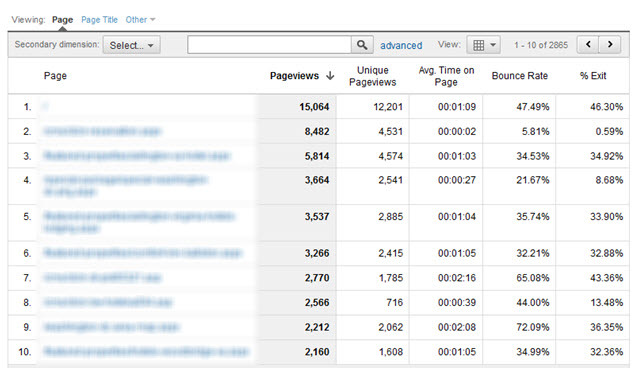 Pageview: The total amount time the page is “viewed” by your visitors. 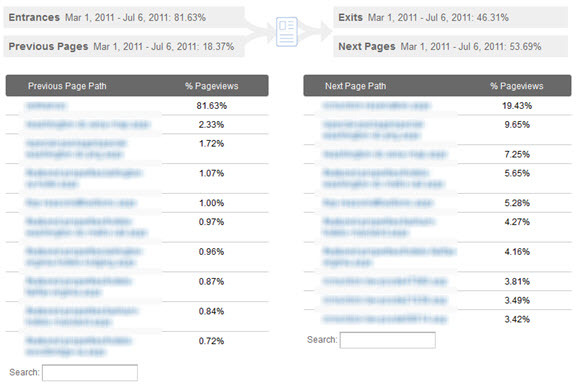 Exit%: The percentage of visitors leaving the site after viewing the page. For example, if your Home Page has 1,000 Pageviews and the Exit Rate of 40%, that means 400 visitors left the site after looking at your home page. Bounce%: Bounce rate are visitors that leave the site on the first page they viewed. So if 10 visitors landed on the Home Page as the 1st page and all 10 left the website without going to a second page, then your Bounce Rate for Home Page is 100%. It is important to note that Bounce Rate is included in Exit Rate. Although there is no direct indication from Google confirming or disputing stickiness as a ranking factor, it is however stated in Google Analytics Help that Bounce Rate is a measurement of Landing Page relevancy. A sticky website with CRO elements improves conversion. 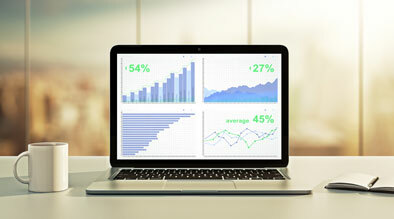 There are many tools to gauge stickiness and measure related metrics, but the tool that is covered in this article is Google Analytics. The goal is to minimize bounce rates, funnel navigation to important pages, and take full advantage of exit pages. As you can see in the basic content report below, the standard metrics of pageviews, bounce rates, and exits are already identified for each of the pages. However, there are ways we can manipulate the data to give more meaningful insights to achieve our goals. 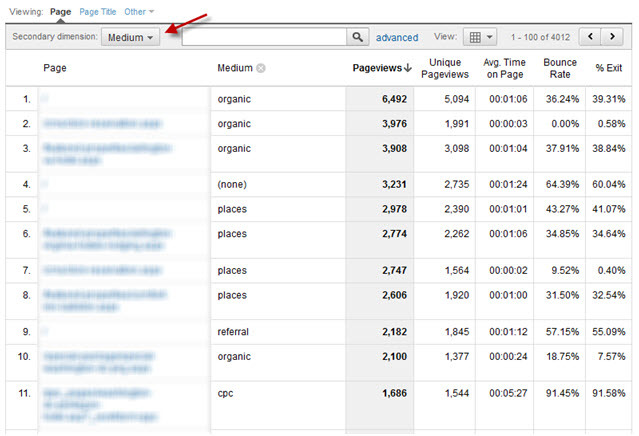 By filtering Secondary Dimension, we can, for example, hone in on the “medium” of the site’s traffic. Looking at the example below, everything looks great on the list until line number 11: it seems a PPC campaign linking to a particular package page is driving a 91.45% bounce rate. To take this a step further, we can then isolate on the page that was driving 91% Bounce Rate and look at the keywords that are landing visitors onto this page. 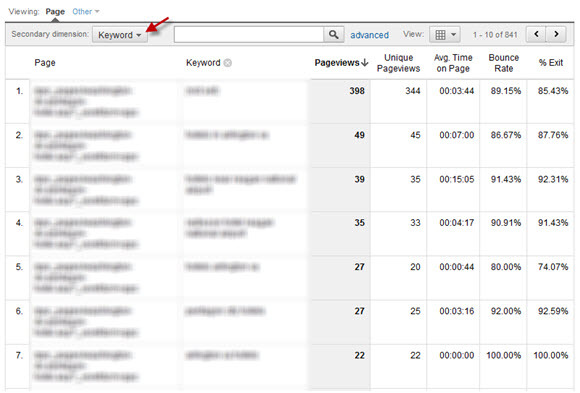 With this we can analyze if the bounce is due irrelevant content or just lack of related conversion elements. We can then devise modifications to the page such as adding a link to a more relevant page, adding negative keyword to PPC for this page, or simply updating the page content to be more relevant. A similar process can be applied to the navigation analysis. First we can identify the navigation of visitors by using the navigation report. After identifying the path, we can filter out the keywords, mediums, and location of the navigation and to understand what the visitor is looking for and whether or not they are getting lost in irrelevant pages. And finally, are we taking full advantage of our Exit Page? For example, after filtering through the content report, we realized 60% of the visitors looking Romance Package exited on the Spa page; then it might be a good idea to add the Romance Package conversion element on the Spa page. It is important to look at the stickiness of the website, although never confirmed or disputed by Google for its SEO values; we know it plays a role in the relevancy of content. The three major metrics to gauge on aside from Average Time Spent On Site are Pageviews, Bounce Rate, and Exits. The ultimate goal is to minimize Bounce Rate, funnel visitors to the important content and take full advantage of exit pages.